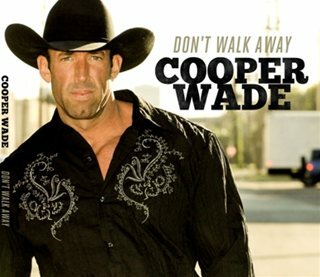 Get the newly released CD from Cooper Wade titled "Don't Walk Away"! 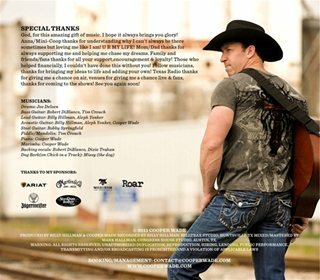 It contains tracks like "Don't Flirt with a Texas Man", "Chick in a Truck", "You and Me on a Beach Towel", "Give Me Your Heart", "She's Perfect for Me", "Un Momento Senorita", and of course the title track and current radio single "Don't Walk Away"!! We are looking forward to see you in France! Please bring lots of CDs!